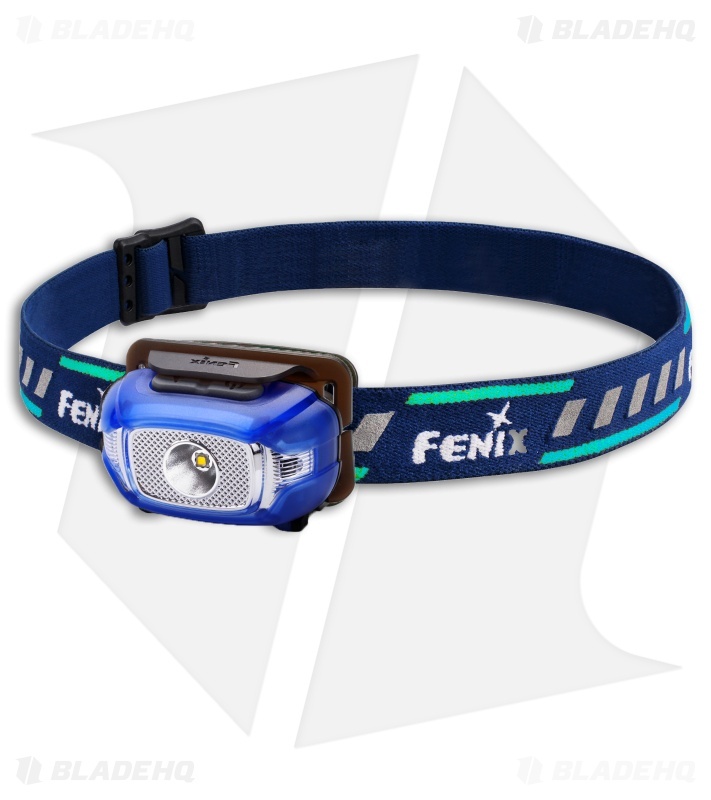 This HL15 model is blue with a matching blue headband. 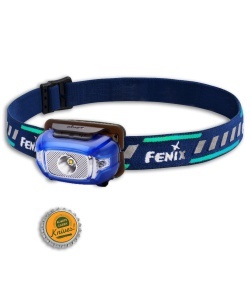 The Fenix HL15 is a lightweight running headlamp with a reflective headband. 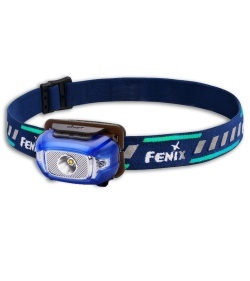 It features one neutral white LED for better color rendering, and two red LEDs to alert others. With four brightness levels and IP67 waterproof classification, the HL15 is perfect for road running, hiking, and camping. Utilizes Cree XP-G2 R5 neutral white LED and Nichia red LED with a lifespan of 50,000 hours. Powered by two AAA(Ni-MH/Alkaline) batteries. 60-degree tilt mechanism adjusts the beam when needed.